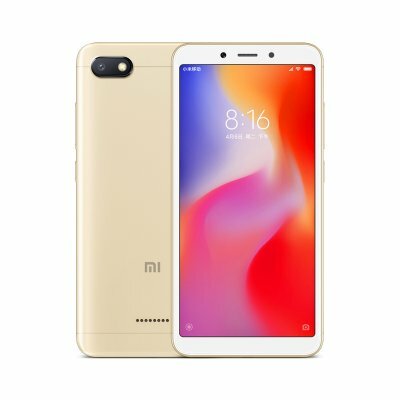 Successfully Added Xiaomi Redmi 6A Android Phone - 5.45 Inch Screen, Quad Core, Bluetooth, GPS, Dual SIM Card, TF Card Slot Up to 256GB, 4G (Gold) to your Shopping Cart. Xiaomi Redmi 6A smartphone comes with a 5.45-inch touchscreen display with a resolution of 720 pixels by 1440 pixels. The Xiaomi Redmi 6A is powered by 2GHz quad-core processor and it comes with 2GB of RAM. The phone packs 16GB of internal storage that can be expanded. As far as the cameras are concerned, the Xiaomi Redmi 6A packs a 13-megapixel primary camera on the rear. The Xiaomi Redmi 6A is powered by a 3000mAh and connectivity options include Wi-Fi, GPS, Bluetooth. Sensors on the phone include Proximity sensor, Accelerometer and Ambient light sensor..